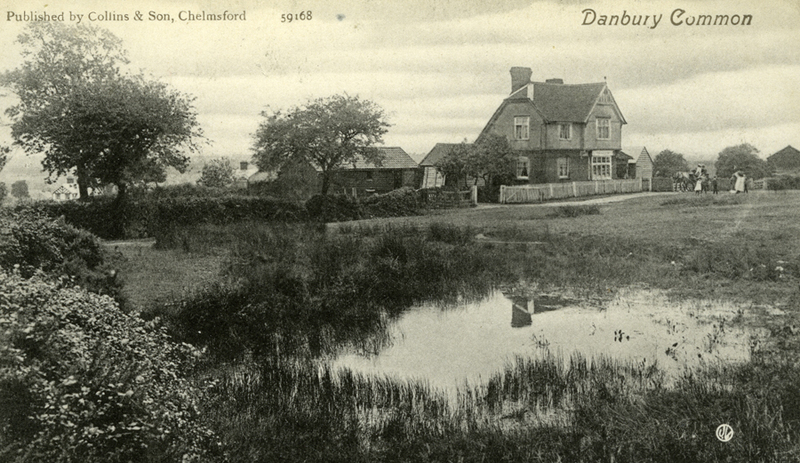 This property is now known as The Old Bakery Danbury Common. After much research we have established that this house was originally named "The Lodge". This was the house the Musgrove family lived in when they returned to Essex in October 1891. The family at this time consisted of George and Emily with their children George, Emily, Alice, Lilly, Herbert, Daisy, Gracey, Adelaide Roy and Rupert (who was born here in March 1892). The family stayed here for at least three years. Many years later our grandmothers spoke fondly of their years at Danbury. George probably chose this location because it is opposite his old pub The Cricketers which he had left in 1886. The picture below dates from about 1910 and shows The Lodge much as the family would have remembered it. A present day photo below shows a hunded years of change to the property.